Together with EA Play to Give, we are standing tall against online bullying and sexism within gaming. 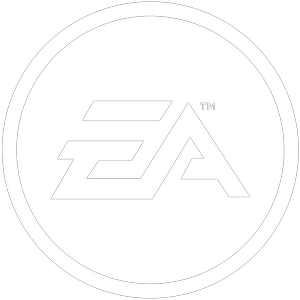 With the support of EA Games in 2017, we were able to help an additional 12,164 people to overcome bullying. The chances are, either you or a friend have been abused whilst playing an online game. In fact, our research suggests that up to half of all gamers have been bullied online, with female gamers some of the most targeted people of all. This year, we are proud to join forces with EA Play to Give to take a united stand against sexism and cyberbullying within gaming. We are calling for a revolution within the gaming community and inviting you to join our mission to make games fun and inclusive for everybody. We believe that you should be welcome to play, regardless of your gender, ethnicity, sexuality, a disability or anything else that makes you unique. We know that bullying can and does go on to create long lasting and damaging impacts to mental health and self-esteem. Our research shows that 1 in 10 of those who have been bullied have gone on to develop suicidal thoughts, with almost 50% of those bullied telling us it made them feel depressed. As a gaming community, it is time for us to come together and to stand for inclusive gaming for all. This hub is the ultimate destination to either get support if you are experiencing bullying either online or offline, or to get involved in our vision for a world that is fair, equal and free from all types of bullying. If we’re to stand any chance of combatting bullying and sexism within games, we need your help. Pledge to take a stand against bullying wherever you see it and stand with us. Use the #GamersUnite hashtag or share this campaign page on Facebook or Twitter now using the buttons below. You never know how many of your followers may be in need of our help. Welcome to Ditch the Label. We are the leading global anti-bullying organization and the ultimate destination for advice and support if you are being bullied either online or offline. Check out some of our most popular support guides below, or visit our Get Help section to get advice and support. Got a question about bullying or have something else on your mind? Join our dedicated online support community to get advice and support from our trained mentors and real people with similar experiences to you.